The Vector Control District tried to spray toxic chemicals throughout central Orange County a few weeks ago only to be rebuffed because they did not file the right paperwork to be able to spray over Disneyland. They did this ostensibly to try to stop the common house mosquitoes as they can carry the West Nile Virus. However there have only been 63 cases of the West Nile Virus in Orange County this year – and only two deaths (both elderly men in their 80’s. More people die every year in Orange County from the common cold than will ever die from the West Nile Virus! And don’t panic over the new mosquito species. Yes they can spread diseases such as dengue fever and chikungunya. However for that to happen they first have to draw blood from a person with those diseases – which pretty much do not exist in Orange County. These diseases are common in tourist attractions in Mexico and the Caribbean and about 25 people have returned from those destinations this year with those diseases. But that is a very small percentage of the population in Orange County. So for these mosquitoes to become a threat to the public they first have to attack a person infected with a tropical disease within the approximately one-week period when a person is sick. Even if that happens, adult mosquitoes only live for about one month. What can you do to stop these mosquitoes? Make sure to dry up any water sources in your yard and watch out as these new mosquitoes can breed in potted plants inside your house, if there is moisture in the soil. They don’t need much moisture to start breeding. If you see any of these mosquitoes call the Vector Control District at (714) 971-2421 or (949) 654-2421 or report them online at this link. These new mosquitoes are black and white and attack during the day time. 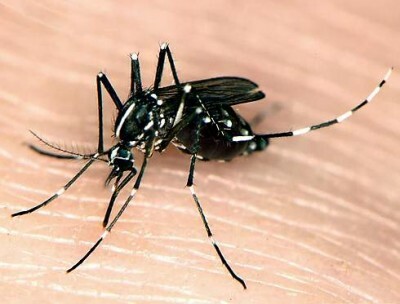 Click here for more info about the Asian Tiger mosquitoes. Don’t panic folks. 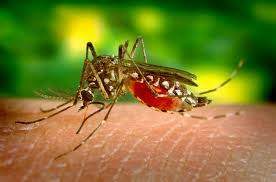 And watch out – the Vector Control District is sure to try to do aerial spraying again. They are funded by property tax assessments and have to prove their worth in order to keep taking our money. They should limit their efforts to targeted areas – on the ground. Wow. Nothing to worry about? Really!???? Only if one of these new diseases takes hold here. You can’t transmit what isn’t here.